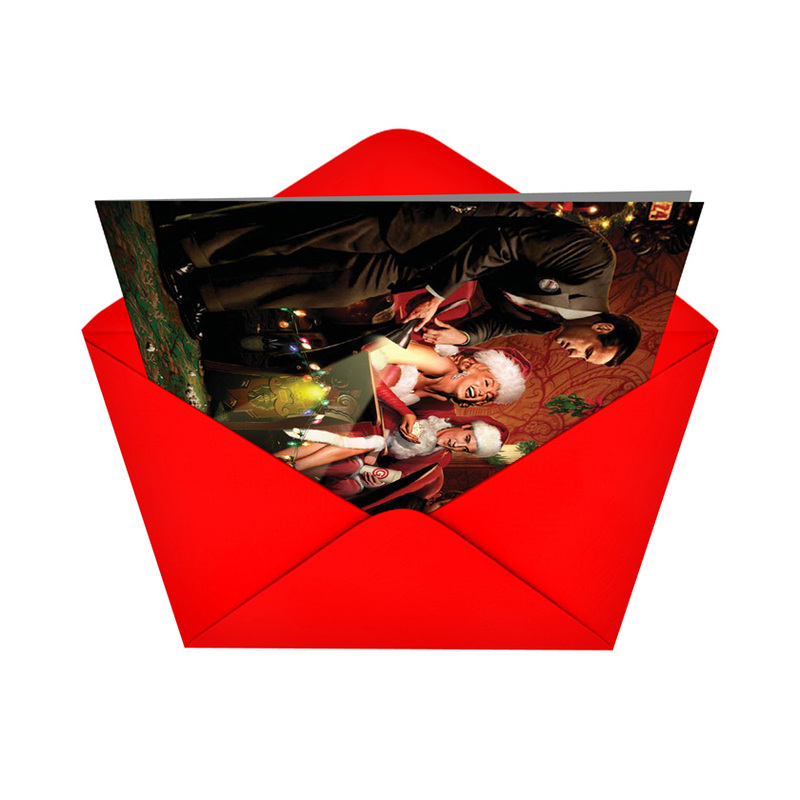 Inside Reads: A Merry Christmas Is In The Stars! 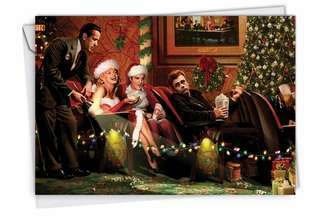 Who wouldn't want to watch a holiday movie with Humphrey Bogart, James Dean, Elvis Pressley and Marilyn Monroe? These world-famous Christmas stars are legends of the stage and screen, and we can only assume what they may be watching. 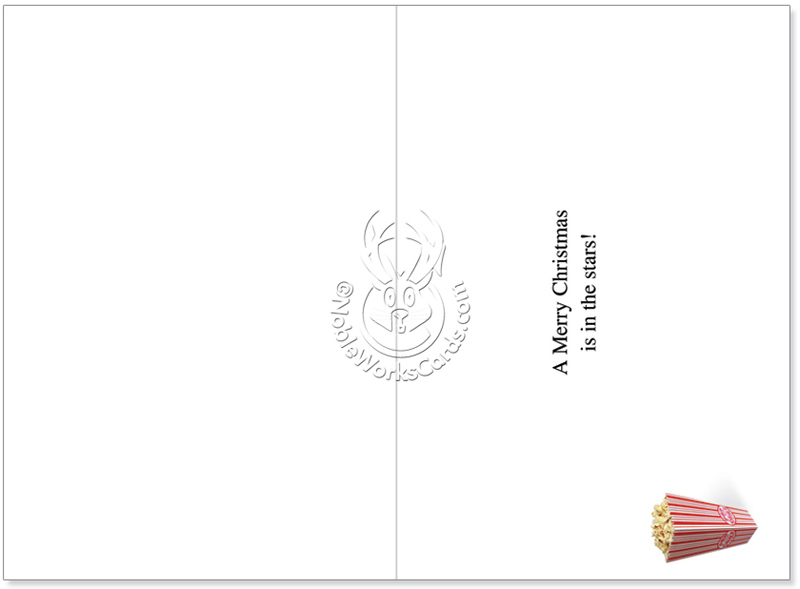 We're thinking either Casablanca or Devil without a Cause. 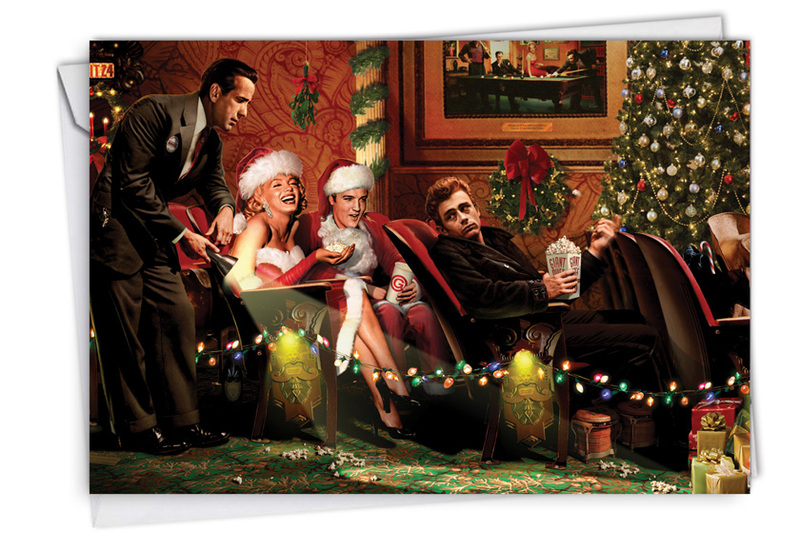 Beautifully illustrated, this very hip holiday card is an awesome gift for those who love American pop-culture history.